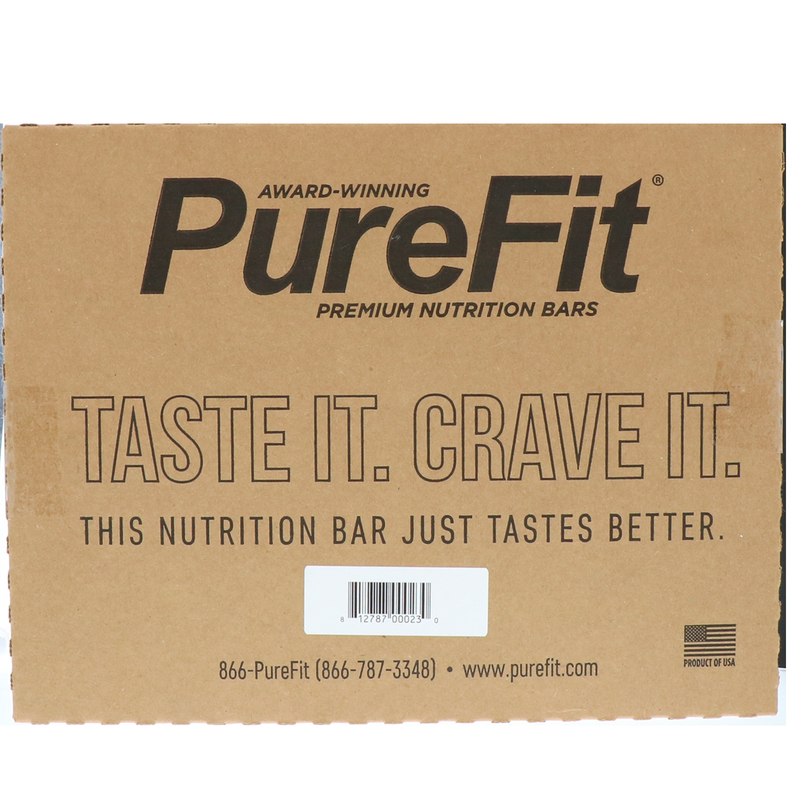 The PureFit Nutrition Bar Sampler - All 7 Flavors allows you to taste each wheat-and gluten-free nutrition bar in our award-winning line. Each kit includes one of each flavor, including: Oatmeal Cinnamon, Peanut Butter Crunch, Berry Almond Crunch, Chocolate Brownie, Almond Crunch along with our two New flavors, Peanut Butter Chocolate Chip and Peanut Butter Toffee Crunch! Contains soy and peanuts. Manufactured in a facility that also processes tree nuts, milk and eggs. Contains soy, almonds. Manufactured in a facility that also manufactures milk, egg, tree nuts and peanuts. 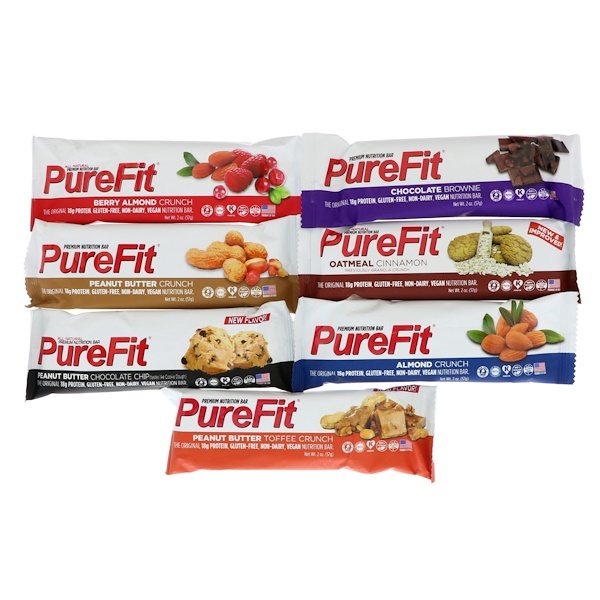 Brown rice syrup, soy protein isolate, beet syrup, peanuts, soy nuts, soy protein crisps (soy protein isolate, tapioca starch, salt), peanut flour, sunflower oil, chicory fiber, natural flavors, sea salt.